It is an established fact that prolonged and severely stressful situations can affect the personalities of most individuals. This change is almost always for the worst and belies the old adage that "suffering builds character." In truth, what prolonged stress produces is anxiety, irritability, hyperarousal (always feeling on edge), the constant anticipation of threats and emotional numbing, among other problems. These are some of the symptoms of post-traumatic stress disorder (PTSD). What about large groups of people sharing a particular culture, say, for example, a national group or large segment of one? Can they collectively experience long-term stress and also exhibit something like the symptoms of PTSD? One way to read the present book under review, Triadic Coercion, is as offering evidence that this can, indeed, happen. As explained by the authors, triadic coercion (which they claim "has not received sufficient scholarly attention") is a form of deterrence. You typically have three actors: two states and a nonstate group. State A is being harassed or otherwise attacked by the nonstate group, which, in turn, is tolerated in the territory, or otherwise supported by a host state (state B). Triadic coercion occurs when the state being attacked (A) decides that the most effective way to stop the nonstate group is to militarily pressure the host state (B) to cease their support or otherwise act against the nonstate group. The authors go on to examine under what conditions such a strategy is likely to succeed or fail. The key factor: how strong or weak are the "internal political cohesion and institutional capacity" of the state hosting the nonstate group? If these characteristics are strong, the host-state government will have the ability to respond to pressure from the state being harassed by the nonstate group. If they choose to do so, the host state can restrain, or even destroy, the nonstate group. However, if the host state is a weak entity, triadic coercion may well prove counterproductive. Outside military pressure might further weaken the host government and reduce its capacity to control or influence the nonstate group. The authors make it clear that such a tactic applied by the state suffering attack by the nonstate group could end up making matters worse and thus be judged as acting against its real interests. To demonstrate these findings, the authors concentrate on the behavior of the State of Israel — as well as providing a short chapter on Turkey and India for comparison. 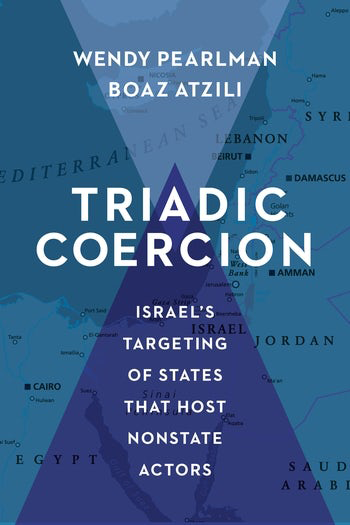 Israel's use of triadic coercion presents an "intellectual puzzle" for the authors because it has often chosen to use such coercion against weak host regimes. The authors seek to understand why Israeli decision makers do so. Their explanation can readily tie into the notion of collective stress behavior suggested above. According to the authors, states that use triadic coercion are guided by "a particular strategic culture" that is "deeply embedded in the state's collective experiences." In Israel's case, its strategic culture gives primacy to military action — a preference that "remains largely impervious to changing conditions." As an expression of this preference, the Israeli military is celebrated "in manifold aspects of public life" including "politics; school curricula; media discourse; and national monuments, myths and holidays." As a consequence, and within the context of triadic coercion, Israelis view "punitive action" — most often "massive destruction" of a host country's infrastructure — as "fitting, on moral rather than instrumental grounds." There are two problems here: first, such a "strategic culture" has often proven ineffective. 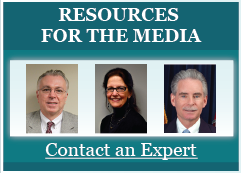 The authors offer a series of case studies of Israeli triadic coercion against neighbors that have hosted hostile (to Israel) nonstate groups, as well as actions taken against the Palestinian Authority, which stands in for a host regime in Israel's view. In most of these cases, the host regimes have been weakened and thus rendered less, rather than more, able to influence the nonstate groups. Second, this inadequate outcome seems not to be one that the Israelis find important. As the authors put it, the Israelis are driven by a compulsion to "do something" in response to harassment by nonstate groups: "Striking the states that host them offers a [psychologically] satisfying one [response], whether or not it actually makes Israel more secure." In other words, the Israelis will often act on the basis of emotion rather than reason. What is important to them is a response that feels "morally appropriate" and emotionally satisfying, something that will "burn into the enemies' consciousness a fear of Israel's might and resolve." The authors conclude that the Israeli approach is simply not working, at least if the goal is to end violence from nonstate groups. Nonetheless, all evidence points to Israel's "continuing enthusiasm for this same strategy." The authors are successful in laying out the history of Israel's triadic coercion. They also show that Israel's strategic culture is skewed by "uncalculated factors, such as socially engrained assumptions, inherited dispositions, and institutionally reinforced attitudes." All of this distorts the ability of its political leaders and military officials when it comes to making calculated rational decisions on security issues. What the authors do not go into is how this aberrant strategic culture evolved. Historically, where did it come from? No doubt the question did occur to the authors, but going into it might have given their book a level of controversy that they did not want. Their book is a well-written and well-documented academic study of the use of triadic coercion, not an attempt at speculative group psychology. However, the question of how Israel's flawed strategic culture evolved remains an important one, and here I will briefly suggest an answer along the lines laid down at the beginning of the essay. My interpretation is that Israel's "particular strategic culture" is a function of European (Ashkenazi) Jewish experience, particularly those in Eastern Europe's "Pale of Settlement." For hundreds of years, Europe's Jews faced discrimination and persecution that periodically turned violent. These episodes of violence (pogroms) were murderous though usually short-lived. The Jewish communities learned that if they kept their heads down and allowed the storm to wash over them, their casualties were fewer. They were not inherently passive, but they simply compared such behavior with the consequences of active resistance. In the twentieth century, when Nazi anti-Semitism emerged, most of Europe's Jewish leadership interpreted it as yet another episode of pogroms, and they reacted to it in the manner that history had taught them would result in the least harm. Of course, they were wrong. The Nazis were a qualitatively different sort of enemy, but most of the Jews of Europe only discovered this when it was too late. Still, there were plenty of episodes of active Jewish resistance ranging from concentration camp revolts to the battle of the Warsaw ghetto. Unfortunately, the Israelis and most other Zionists forget about this part of history and condemn Europe's Jews for being shamefully passive in the face of mortal danger. Thus was born the slogan, "never again." The "never again" psychology has created, and continues to fuel, the Israeli emphasis on military strength and offensive strategy. To do otherwise would, in the Zionist mind, imply weakness, just the sort of weakness European Jews had allegedly shown. Yet, there is more to this. Their overwhelming superiority in weaponry and its repeated use have destroyed their Arab enemies and Palestinian society without stopping nonstate group violence. Why not vary one's tactics and why not try something novel, like negotiating peace on the basis of the oft-repeated Saudi peace initiative? After all these years of successfully displayed offense, no one would interpret such negotiations as weakness. No one, that is, but the Israelis themselves. The Zionists are not afraid the Palestinians, Arabs, Iranians or any other outside entity would conclude that Israel is weak. They are concerned that they themselves would feel they were replicating the alleged passivity of European Jews faced with the Nazi onslaught. The fear of seeing themselves as akin to European Jews going to the gas chambers without a fight stands as the greatest psychological barrier to Israel's halting their repetitive violence. This state of mind has also encouraged the Zionists to see the Palestinians, and indeed all Arabs, as latter-day Nazis to be repeatedly vanquished. Hundreds of years of intermittent oppression applied consistent stress to generations of European Jews. Most of the Zionists who came to settle in Palestine were just such Jews. For them, already inclined as they were to group cohesion and open hostility to outsiders, the Holocaust was the conclusive trauma. "Never Again" would these Jews consider anything but an offensive reaction to a perceived threat, even if such a strategy was demonstrably against their long-term interests. Today additional generations of Israeli Jews have been educated by their schools, their media, their politicians, their military to see the world as such a threatening place that the next Holocaust is seemingly imminent if their country ever lets its guard down. If there is such a thing as long-term, group-wide stress leading to collective symptoms of PTSD, this is it, a perfect context for Israel's "particular strategic culture."